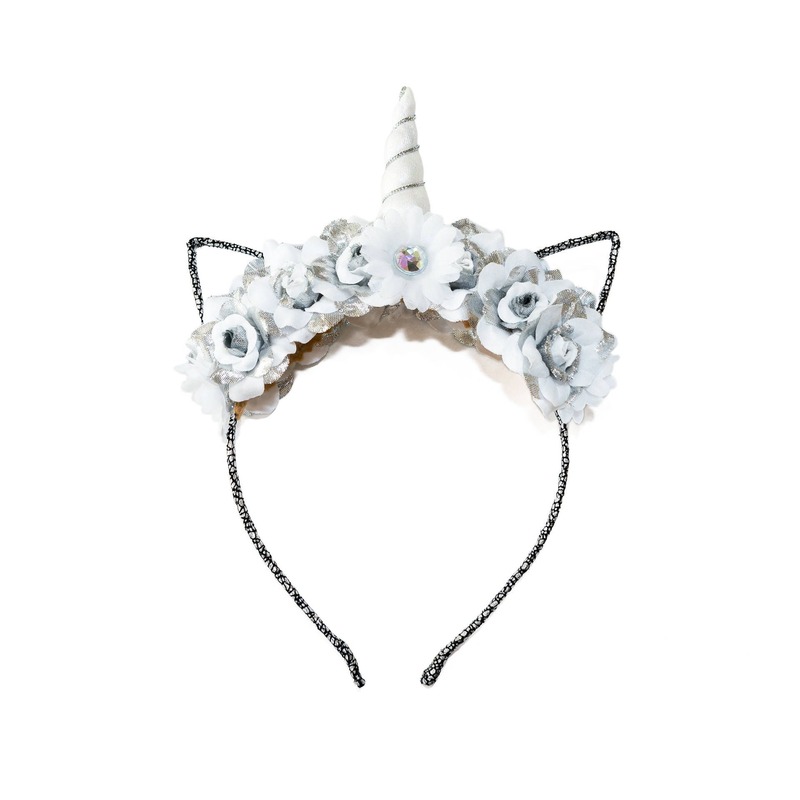 Sparkle and shine when you wear a Kitty Katrina White / Silver Mewnicorn Headband! 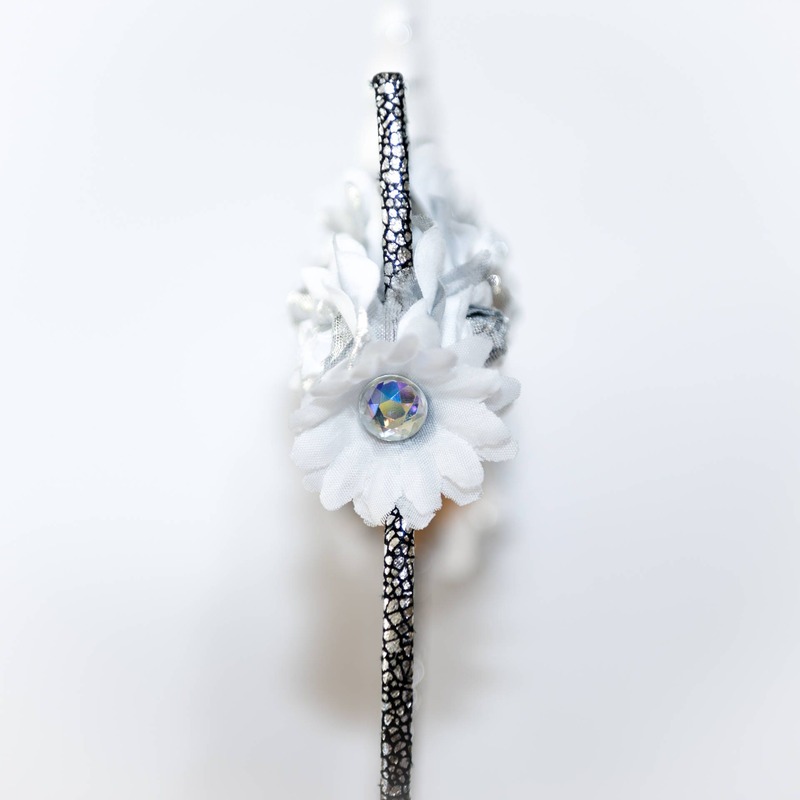 This headband features a white / silver unicorn horn; white silk and silver metallic roses decorated with white daisies with iridescent rhinestone centers, and a silver / black headband (see images). Also, this headband is decorated on both sides making it reversible and beautiful at any view (see images for both sides and side view). 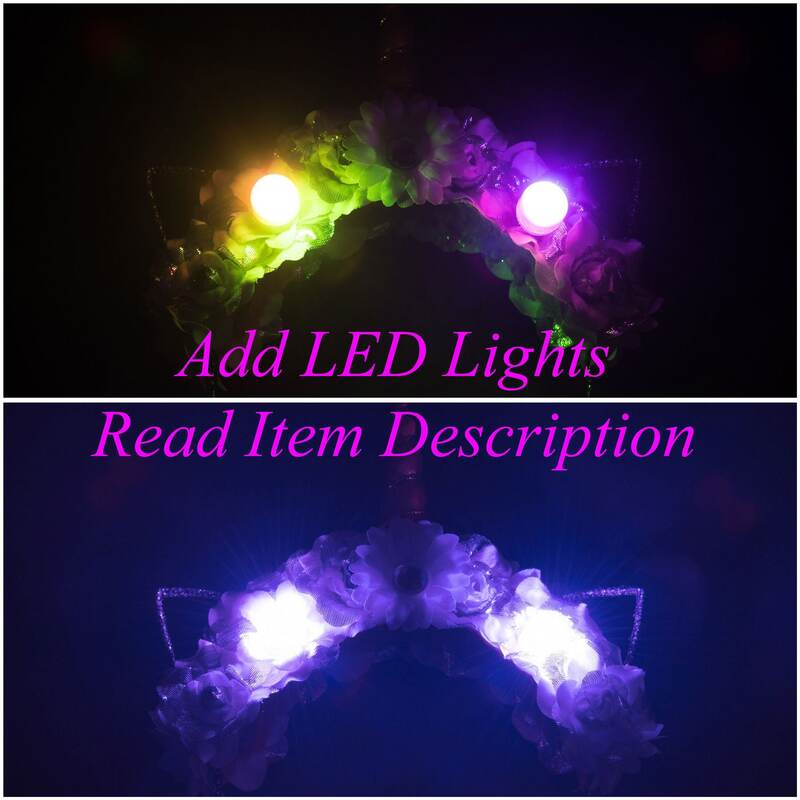 4 LED Lights - 2 LEDs on BOTH headband sides ($10.00 extra) added to the rose centers. This headband is reversible, therefore, if you purchase 4 LED Lights - this means 2 LEDs will be added to both sides of the headband. Product Details: 1 Headband is included in this purchase. This Headband fits most head sizes. The unicorn extends roughly 3 inches from headband. Each rose is roughly 1.75" in diameter. Each daisy is roughly 1.3"-1.5" in diameter. The White LED Lights give off a slight blue hue but this is the result of it being an LED Light. To operate the LED Lights, gently turn light head to the RIGHT to turn ON, or turn LEFT until blinking STOPS. AVOID water on LED Lights to ensure long-lasting wear.